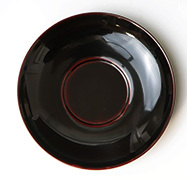 Yamanaka lacquerware has a history stretching back over 450 years, when wood turners first moved to Kaga, Ishikawa prefecture,(western Japan). 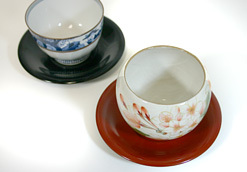 The techniques they brought with them developed into the lacquerware industry which is still flourishing in and around the hot spring resort of Yamanaka onsen. 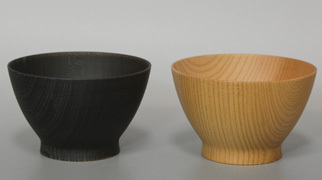 The following pieces are all made of Japanese wood and covered with natural lacquer. 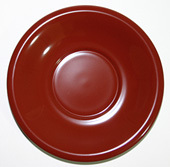 height 0.8" (2.2cm) approx. 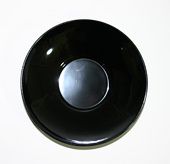 1.1 oz/32 g *The "shu" color is only on the upper surface.The underside of the saucer is lacquered in black. 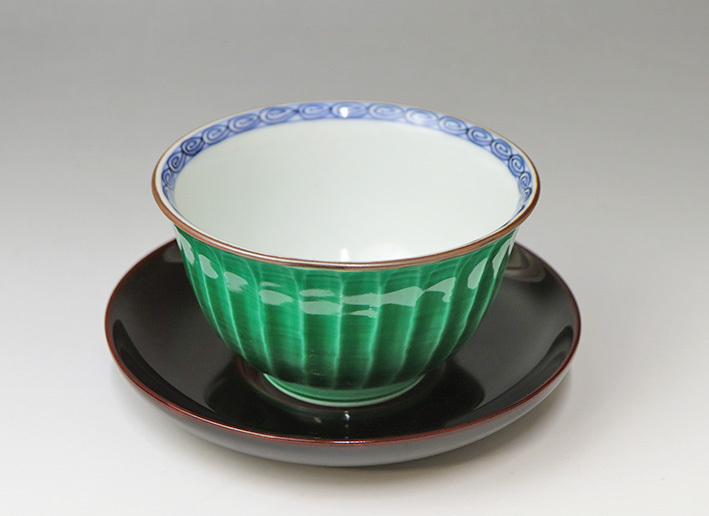 Hida Shunkei Nuri is a traditional lacquerware craft which originated about 400 years ago in the city of Takayama, situated in the Hida area of present day Gifu prefecture. 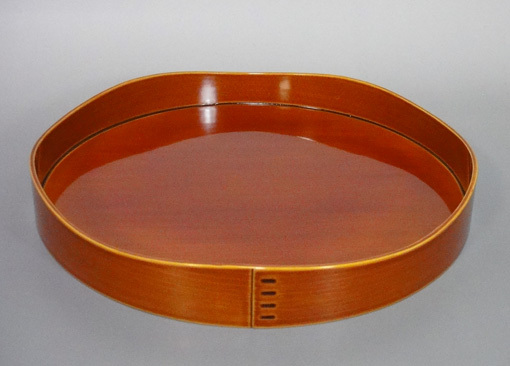 Its main characteristic is the use of a transparent, rather than red or black, lacquer which highlights the beauty of the wood grain beneath. 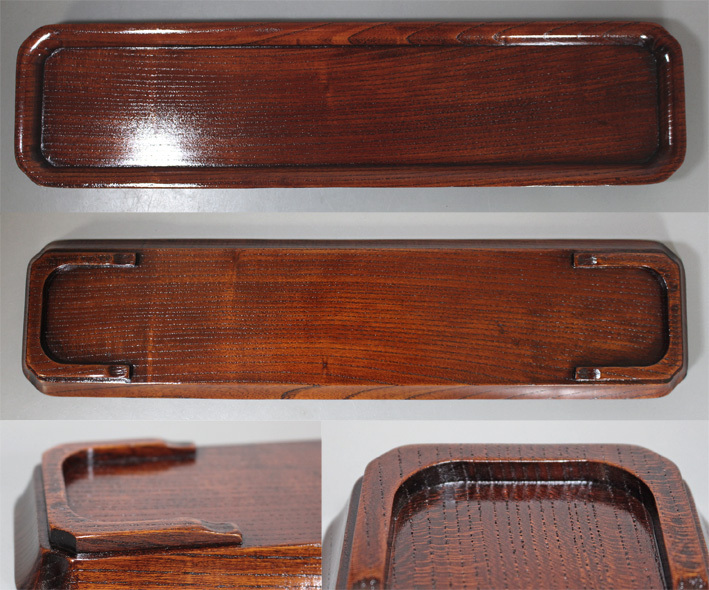 Hida Shunkei Nuri is known for its wide range of lacquered products, the lovely soft amber color and natural finish making it suitable for modern as well as traditional interiors and evoking a feeling of "wabi sabi". 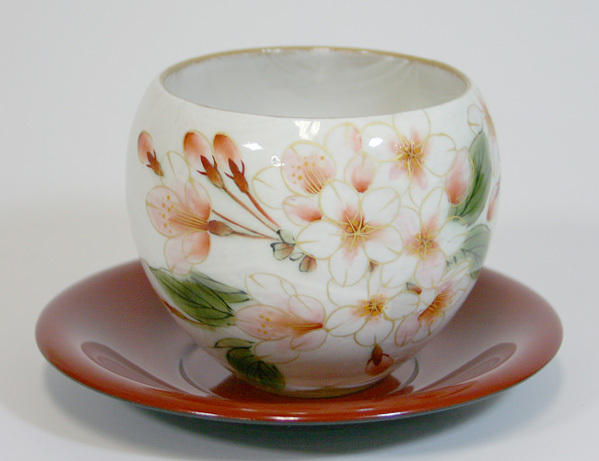 *Hida Shunkei Nuri was designated as a traditional craft by the Minister of International Trade and Industry in 1975. 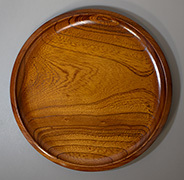 This tray is coated with natural urushi lacquer. 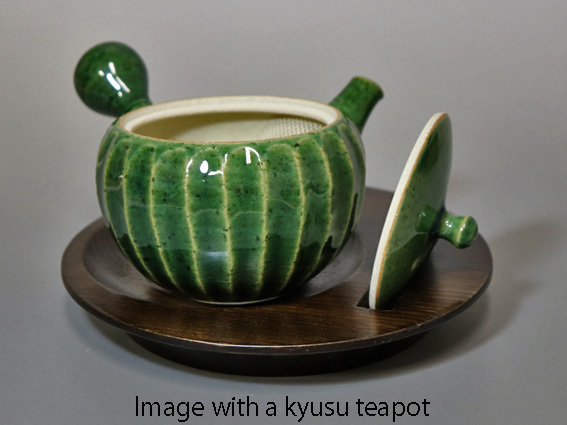 *This is used for casual tea ceremony. 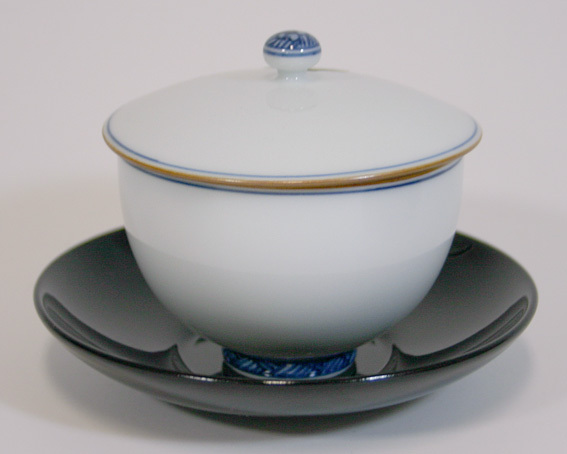 Hida Shunkei Nuri is durable and the transparent lacquer gets lighter and more beautiful with age. Wiping with a soft cloth is recommended in order to keep the products dust-free and to aid the burnishing process. Do not immerse in water for a prolonged period of time. Always wash quickly and wipe off excess water with a soft cloth. 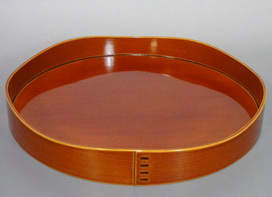 Do not expose to direct sunlight or strong heat as this may damage to the lacquer or cause the pieces to warp. 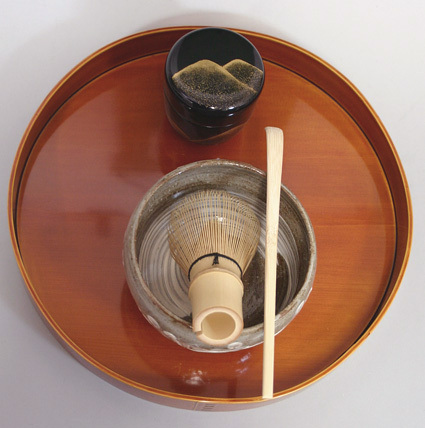 Image with a houhin tea set This tray is coated with natural urushi lacquer.